Located in a unique and sought after location this spacious townhouse offers mesmerizing views from all levels. Opposite the Cowrie hole and Newcastle Ocean Baths, an easy walk to beaches, CBD, cafes and shops. This really is the dream lifestyle. you'll feel like you're on holidays all year long. * Stunning location opposite Cowrie hole and Ocean baths. 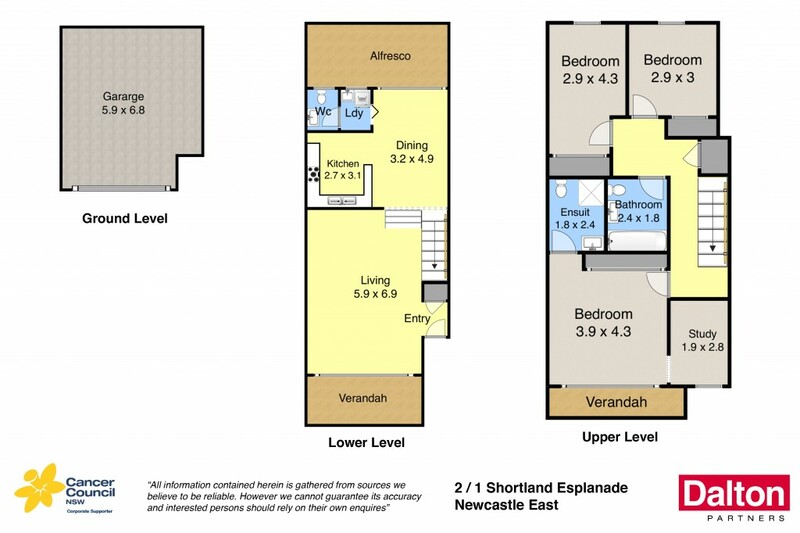 * Easy walk to Newcastle and Nobby's beach and foreshore. * The CBD with shops, cafes, restaurants and parks all nearby. * Main bedroom offers ensuite, separate study nook and balcony. * Lounge opens to front balcony, dining to rear courtyard. * Very spacious open plan living design with large kitchen. * All bedrooms are double size with built in robes. * In a well maintained Strata title complex of only 4 townhouses. * Please contact agent to arrange your inspection.